The small Great Rides B-cycle program accomplished an amazing feat for a North American program this week. 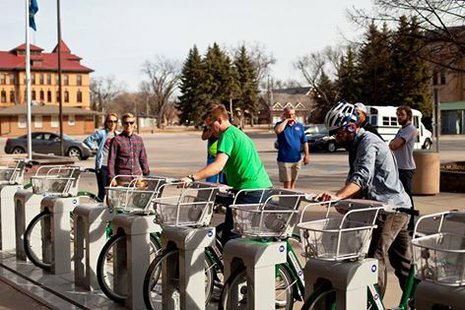 According to KRWK, with a mere 101 bikes in 11 stations, the program managed 1,850 rides in one day! One metric used to determine the success of a program is how many times, on average, each bike is used in one day. The term for this is 'trips per bike per day' or (TPBPD). The highest TPBPD CitiBike in New York City claimed is around 11. The occidental world record has been held by DublinBikes in Dublin, Ireland which reported around 15 TPBPD. We won't talk about China, because there are a few cities that have consistently broken out of the teens with their TPBPD. Great Rides in Fargo North Dakota has a 18.5 TPBPD! Congratulations! Now to be fair, about a third of the Great Ride stations are on the campus of North Dakota State University. All students are eligible to enroll in the program at no charge. There is no fee for the first 30 minutes of each ride on campus or off. This greatly contributes to the program's success. Yes, it is a great ride! Registration is now open! 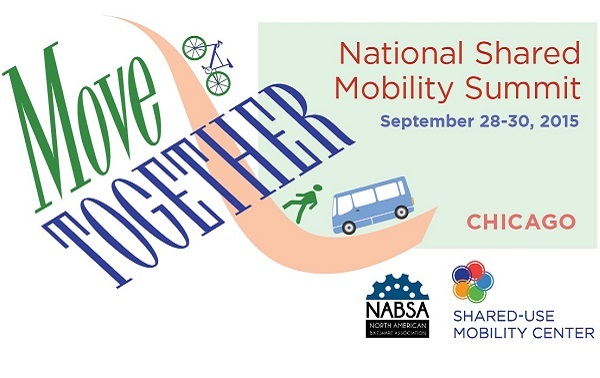 The 2015 Shared Mobility Summit Move Together will bring transportation and policy leaders from across the country to Chicago on September 28-30, 2015. 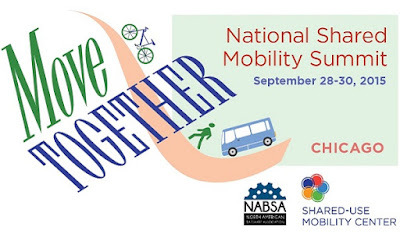 This is a conference on Shared-Use Mobility and the annual meeting of the North American Bikeshare Association. If you are interested in starting a Public Use Bicycle program or making one better, consider signing up for Move Together.